The mainstream media create the stage upon which politicians read their lines -- and we can change that stage in ways that improve the functioning of our political economy to benefit everyone. The Washington Post declares that "Democracy Dies in Darkness". The mainstream commercial broadcasters in the US fired nearly all their investigative journalists in the last quarter of the twentieth century, except for a handful that worked for popular programs like "60 Minutes". The broadcasters found ways to retain most of their audience while reducing the threats that investigative journalism poses to major advertisers, who are not eager to subsidize unfriendly coverage of disgruntled customers, employees or neighbors or of special favors they are seeking from government. And since the advent of the internet, newspapers are dying everywhere. Jim Fitzpatrick, a journalist for the Kansas City Star for many years, recently said that the Star had shrunk from over 2,000 employees in 2006 to about 250 a month or two ago, and might have fewer than 200 after a current round of cuts. Research on the political economy of journalism has documented what has happened when the quality of local has declined: On average fewer people ran for political office, less money was spent on elections, incumbent politicians did not work as hard for their constituents -- and the cost of government went up. It may be possible to reverse the attacks on our democracy represented by inadequate news coverage. To do so, we need to understand the threat and respond appropriately. 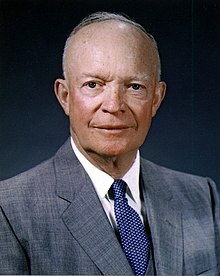 Former US President Eisenhower said in his 1963 autobiography that he never communicated with anyone knowledgeable in Indochinese affairs, including Vietnam, who did not agree that if elections had been held there in the early 1950s, possibly 80 percent of the population would have voted for the Communist Ho Chi Minh. That point was completely absent from the mainstream political discourse in the US at that time. Instead, that discourse was dominated by concerns about "Godless, satanic Communism," the knock on the door in the middle of the night, and people just disappeared -- tortured to death or sent to a slave labor camp in a place like Siberia. Evidently, the mainstream media in the 1950s and 1960s suppressed an extremely important aspect of the universal consensus of experts about Vietnam -- to the point that Presidents Eisenhower, Kennedy, Johnson, Nixon and Ford felt compelled to aggressively oppose democracy in Vietnam. The behaviors of the media make sense if you consider that the business model of every media organization is to sell changes in the behaviors of their audience to their funders, the people who give them money. If they do not have an audience, they have nothing to sell -- and will not have funding for long. If the audience does not change behaviors -- or, worse, if they change behaviors in ways that displease their funders -- the money will likely go elsewhere. The mainstream media create the stage upon which politicians read their lines. The media have this power because of a fundamental defect in how humans think and make decisions, documented by research led by Daniel Kahneman, who won the 2002 Nobel Memorial Prize in Economics. Kahneman is a research psychologist, not an economist. He won the Nobel prize in economics for research that showed that the standard models that economists have used for a "rational person" is not how people actually think. People make most decisions intuitively based on what comes most readily to mind. Kahneman calls this "fast thinking". We are capable of more careful thought, deliberation, and search for evidence -- Kahneman's "slow thinking" -- but we are not good at identifying when we need to do so. The mainstream media everywhere exploit this defect to Balkanize and exploit the body politic to benefit those who control media funding and governance. 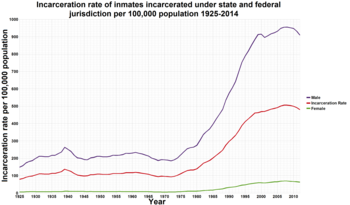 Another example is given by the United States incarceration rate, which since 2000 has been five times what it had been between 1925 and 1975. After having been stable at 0.1% of the US population for 50 years, the incarceration rate shot up by a factor of five in the last quarter of the twentieth century. This increase in incarcerations has been attributed to changes in the editorial policies of the mainstream commercial broadcasters: Between 1975 and 2000, the mainstream commercial broadcasters fired nearly all their investigative journalists, as noted above, and replaced them with the "police blotter". People thought that crime was out of control, when there had been no substantive change in crime. And the public voted in a generation of politicians on a platform to "get though on crime". Today the vast majority of incarcerees are HS dropouts incarcerated for nonviolent drug offenses. Relevant research suggests that criminalizing substance abuse generally creates more problems than it solves, similar to the Prohibition of alcohol in the US, 1920-1933. The best response is drug treatment, not incarceration. We need more and better research on which drug treatment programs are most effective, which programs for children are most likely to increase what children actually learn and reduce the dropout problem. And we need a media system that will provide better coverage of the issues that matter most to the bottom 99.5% of the US population. average and quantiles of family income (Gross Domestic Product per family) in constant 2010 dollars. Note that this reference is to the bottom 99.5% not the bottom 99%. That is because the average annual income in the US, real Gross Domestic Product per capita, has been growing at a fairly constant 2% per year since 1947, with a few fluctuations like the Great Recession, doubling roughly every 35 years. Prior to 1970, the incomes of the poor and the rich grew at essentially that same rate, 2% per year. Since 1970, the incomes of the top half of a percent have grown faster than 2% per year, while the incomes of everyone else have not grown as fast. The gap is roughly $100 per day for the typical American family. It is more dollars but a lower percent of income for the 99th percentile. And its fewer dollars but a higher percent of income for the poor. A basic thrust of this essay is to suggest that we might be safer and more prosperous with less income equality if we had citizen-directed subsidies for journalism. I do not want either government bureaucrats nor corporate bureaucrats censoring the media. Regarding incarcerations and education, we are told that we can not afford to educate the children of the poor or even do the research to better understand what we need to do to reduce or eliminate high school dropouts that feed the school-to-prison pipeline and how to improve how much the children learn. That seems silly from several perspectives. The average annual income in the US today is roughly double what it was 35 years ago. Clearly it's a question of priorities, not what we can or cannot afford. We need to fund the research needed to document which educational innovations are effective and which are not. And we need a media system that will disseminate the research consensus, even when it conflicts with the advertising consensus. Most of those incarcerated in the US are there for nonviolent drug offenses. Research suggests that incarcerating drug abusers does NOT reduce drug abuse and does NOT make society safer. Meanwhile drug rehab programs that have been shown to be effective are underfunded. It would seem to make more sense to stop incarcerating people for nonviolent drug offenses, as was done in the US with alcohol in 1933. Research led by Stanford economist Eric Hanushek documents how countries whose children actually learn more tend to have higher rates of economic growth. He collected test scores on international standardized tests of student achievement and aggregated them by state in the US and by country internationally. He compared that with the rate of growth in average annual income, real Gross Domestic Product per capita, from 1960 into the twenty-first century, adjusting both growth rates and test scores for the average annual income at the start of that period, 1960. When he compared groups of countries, he got almost a straight line from sub-Saharan Africa having the poorest educated children and slowest growth to Asia with the best educated children and the fastest economic growth. More research is needed to determine which educational innovations actually improve student achievement and which only cherry-pick the already high achieving kids. And we need a media system that will disseminate the research consensus, even when it conflicts with the advertising consensus. The 13 colonies that declared independence from Great Britain in 1776 arguably had the most advanced democratic cultures on the planet at that time. Adult white male owners of substantial property could vote. That included just under 60 percent of adult white males in 1776. Meanwhile, regular newspapers started appearing in the early 1700s. They encouraged literacy, which increased the rate of economic growth, consistent with the research of Hanushek, discussed earlier. Newspapers and literacy and democratic governance work together to help limit political corruption, which also seems to help improve economic growth. During the American Revolution, King George's postal service censored the mail of the revolutionaries. By 1792 the leaders of these brand new United States of America realized that their experiment in republican government would not succeed without an informed electorate. They therefore enacted the US Postal Service Act of 1792, under which newspapers were delivered up to 100 miles for a penny, when first class postage was between 6 and 25 cents depending on distance. It was 0.2 percent of the national income, Gross Domestic Product, according to media scholar Robert McChesney and his co-author John Nichols. You do not have to be perfect to succeed at anything: You only have to be better than the alternatives. At the time of the American Revolution, New Spain ran from the Caribbean, through Florida and Louisiana, to the Pacific Northwest -- with many times the land area of the 13 British Colonies that declared independence in 1776. However, New Spain did NOT have a comparable democratic tradition nor citizen-directed subsidies for journalism like in the US Postal Service Act of 1792. Since that time New Spain fractured and shrank. It lost most of its territory to the expanding United States. The rest split into Mexico, six countries in Central America, and many island nations in the Caribbean and elsewhere, none of which have had economic growth comparable to that of the US. The standard description of the founding of the United States of America is that we got freedom and democracy, liberty and justice for all from the violence of the American Revolution. The Wikiversity article on The Great American Paradox claims that description is wrong. Virtually every other successful violent revolution in human history arguably replaced one brutal repressive system with another. How did the US get so lucky to get George Washington and not someone more like Napoleon Bonapart or Joe Stalin? the adversarial press that was reinforced by the citizen-directed subsidies for journalism provided by the US Postal Service Act of 1792. The violence of the American Revolution secured its independence from Great Britain, while reducing the threats that democracy posed to the existing leadership. After the Declaration of Independence, the 13 brand new states wrote constitutions. In Pennsylvania and Massachusetts and perhaps elsewhere, the result threatened the social status of leaders of the American Revolution. The violence of the revolution helped the colonial elites resist some of those democratic pressures. In the mid-nineteenth century advertising started to become a major source of funding for newspapers. By the twentieth century, advertising had become roughly 2 percent of national income, GDP, as compared to the 0.2 percent of GDP provided earlier by the US Postal Service Act of 1792. Various researchers have suggested different systems suitable for today's world for distributing citizen-directed subsidies for journalism. Whatever system is chosen, it seems useful to compare with advertising and accounting and the history of media in the US, all of which suggest that 2 percent of GDP seems like a more effective target than 0.2 percent. Local governments give money, whether cash or tax credits, to subsidize programs for economic development under the claim that everyone benefits. Tax money is then spent on accounting to evaluate the extent to which income and expenses match the plan. Shouldn't more tax money be spent on research to document the circumstances under which the social impact is consistent with the claims used to sell those programs -- not just counting the beans but evaluating if the right beans are being counted? to ensure that the expert consensus is explained to the public, even if it conflicts with the advertising and political consensus. There are a growing number of nonprofit news organizations in the United States working to fill the gaps left by the cuts that laid off 90% of the employees of the Star in the past 13 years and closed many other newspapers. Almost 200 of these nonprofit news organizations are members of the Institute for Nonprofit News, INN, which works to identify and share best practices between different nonprofit news organizations. This page was last edited on 10 March 2019, at 01:39.